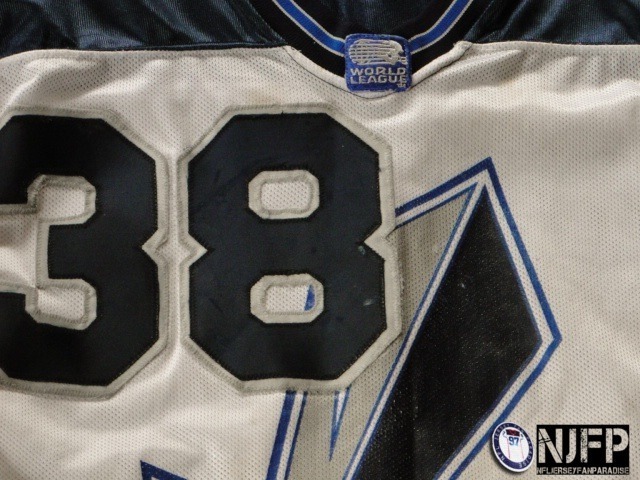 This 1997 game worn Scottish Claymores road jersey was worn by Kevin Scott, CB. 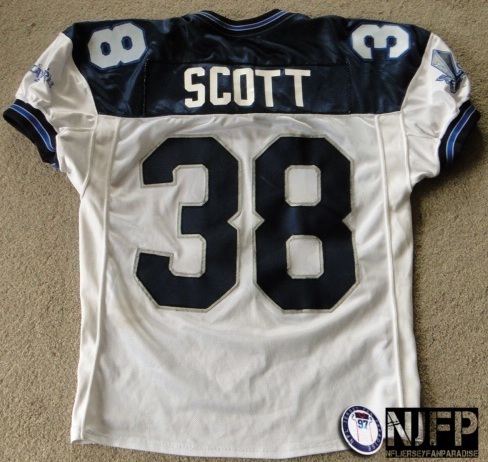 Scott was drafted by the Detroit Lions in 1991 and played for 3 seasons. 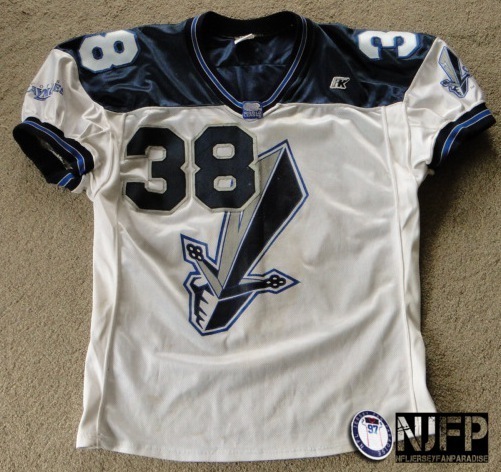 The Claymores were part of the World League of American Football. In 1997 Scott made 3 interceptions for the Claymores. 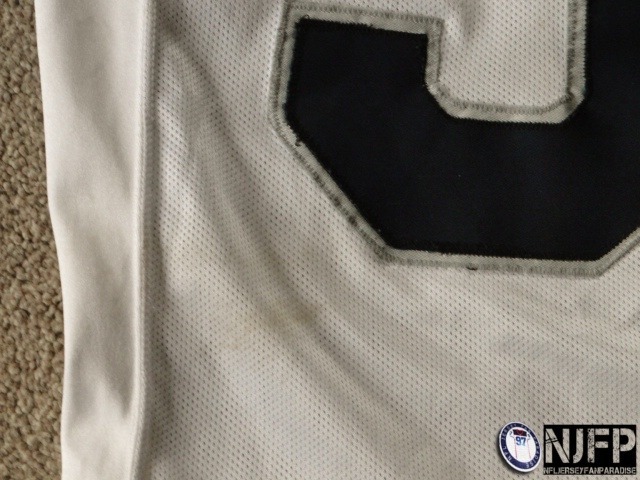 The jersey shows some nice game use, stains and hit marks on the twill numbers.